This entry was posted in CryptoGuard, Malware, ransomware, serious security on April 18, 2019 by Paul Ducklin. This entry was posted in industry intel, InfoSec, Malware, Privacy, ransomware on April 12, 2019 by Connor Madsen. This entry was posted in angler exploit kit, Guest blog, Law & order, Malware, ransomware, Reveton on April 11, 2019 by Graham CLULEY. Smashing Security #123: Backups – a necessary evil? This entry was posted in backup, Podcast, ransomware, Smashing Security on April 10, 2019 by Graham CLULEY. 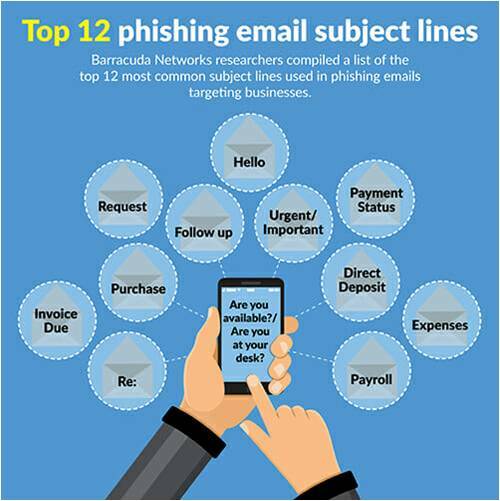 This entry was posted in breaches, GDPR, ransomware, security, Security newsround, skills on April 9, 2019 by Gordon Smith. 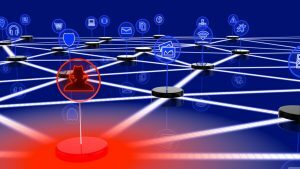 This entry was posted in cyber security roundup, Equifax, facebook, Huawei, kaspersky, microsoft, Nation State, ncsc, patching, ransomware, rbs on April 3, 2019 by SecurityExpert. 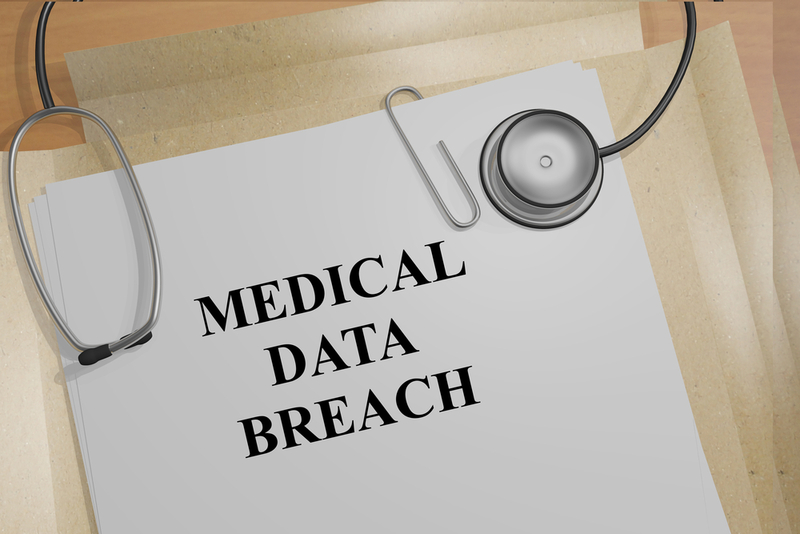 This entry was posted in Data Breach, industry intel, InfoSec, Privacy, ransomware on March 22, 2019 by Connor Madsen. In collaboration with Bill Siegel and Alex Holdtman from Coveware. 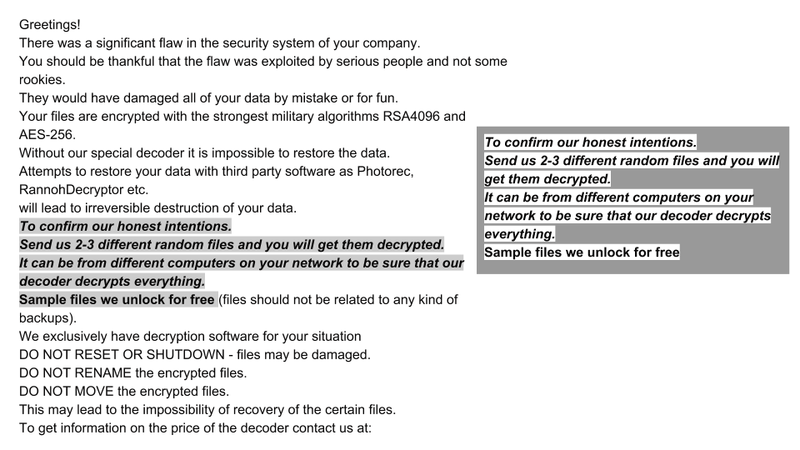 At the beginning of 2019, McAfee ATR published an article describing how the hasty attribution of Ryuk ransomware to North Korea was missing the point. Since then, collective industry peers discovered additional technical details on Ryuk’s inner workings, the overlap between Ryuk and Hermes2.1, and a detailed description of how the ransomware is piggybacking the infamous and ever evolving Trickbot as a primary attack vector. In this blog post we have teamed up with Coveware to take a closer look at the adversary and victim dynamics of Ryuk Ransomware. We structured our research using the Diamond threat model and challenged our existing hypotheses with fresh insights. 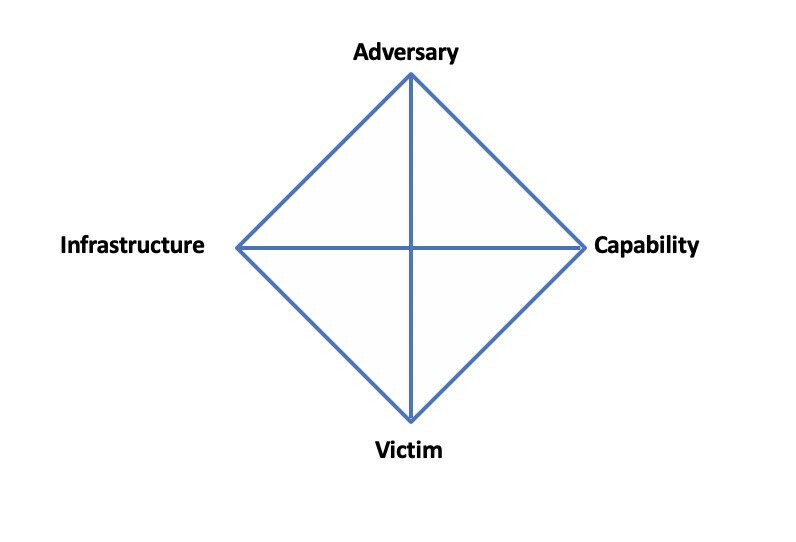 Within Cyber Threat intelligence research, a popular approach is to model the characteristics of an attack using The Diamond Model of Intrusion Analysis. 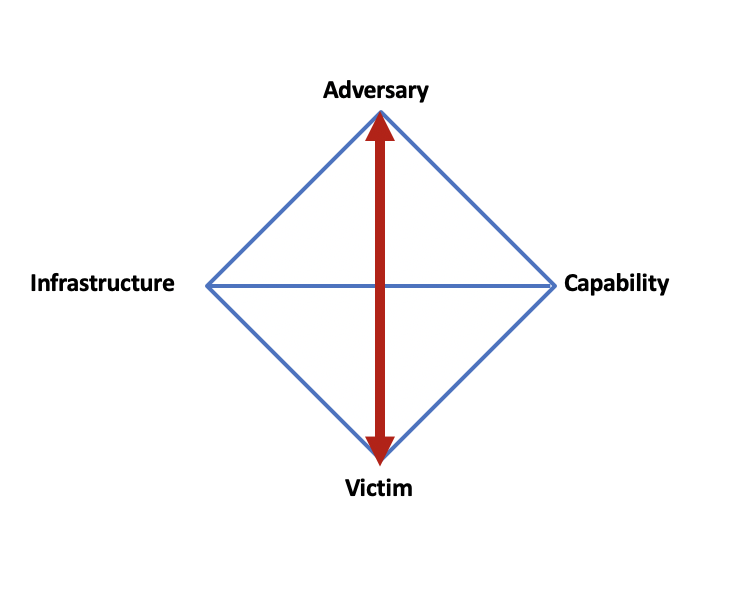 This model relates four basic elements of an intrusion: adversary, capabilities, infrastructure and victim. For the Ryuk case described above the model can be applied as follows: “An Adversary, cyber-criminal(s), have a capability (Ryuk Ransomware) that is being spread via a TrickBot infection Infrastructure targeting specific victims. The Diamond Model offers a holistic view of an intrusion that is a helpful guideline to shape the direction of intelligence research. By searching for relationships between two elements one can gather new evidence. For instance, by analyzing and reverse engineering a piece of malware one might uncover that a certain server is being used for command and control infrastructure, thus linking capability with infrastructure (as shown below). Alternatively, one might search underground forums to find information on adversaries who sell certain pieces of malware, thus linking an adversary with a capability. For instance, finding the underground forum advertisement of Hermes2.1. In our earlier publication we explained The Analysis of Competing Hypotheses (ACH), the process of challenging formed hypotheses with research findings. By following this method, we concluded that the strongest hypothesis is not the one with the most verifying evidence, but the one with the least falsifying evidence. In order to construct a hypothesis with the least falsifying evidence we welcome research published by our industry peers to dissimilate insights that challenge our hypotheses. 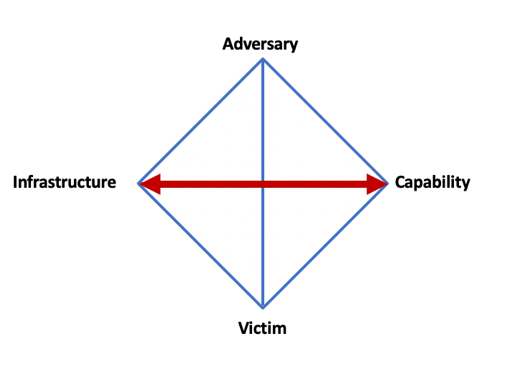 When we combined all the evidence with links on the diamond model, we discovered that one essential link wasn’t made, the link between adversary and victim. Despite published research, the direct link between adversary and victim remained relatively unexplored. Unlike most cybercrime, ransomware and digital extortion frequently creates a strong social connection between adversary and victim. The adversary has certain needs and views the victim as the means to fulfill those needs. 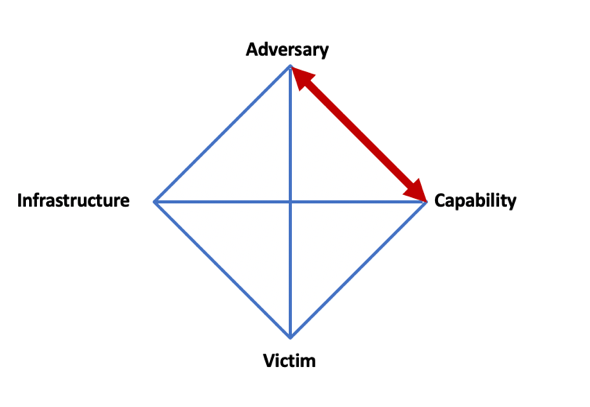 The connection between an adversary and victim often generates valuable insights, especially in cases where (extensive) negotiation take place. 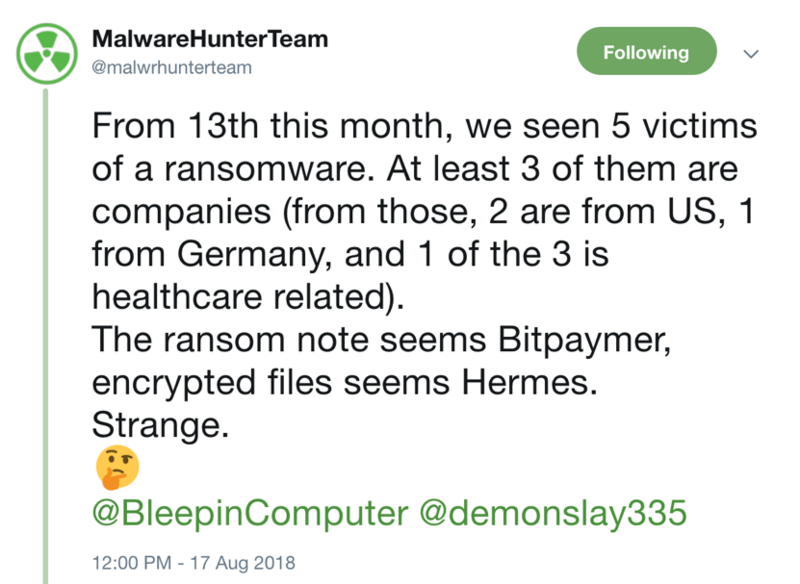 Luckily, one of our NoMoreRansom partners, Coveware, is specialized in ransomware negotiations and has gained valuable insights help us link adversary and victim. By aggregating ransomware negotiation and payment data, Coveware is able to identify strain-specific ransomware trends. With regards to Ryuk, it should be noted that ransom amounts average more than 10x the average, making it the costliest type of ransomware. Coveware also observed that some Ryuk ransoms were highly negotiable, while others were not. The bar-belled negotiation results generated an average ransom payment of $71k, a 60% discount from an average opening ask of $145k. The bar-belled negotiation outcomes meant that some victims were stonewalled. These victims either lost their data or took on staggering financial risk to pay the ransom. The outcomes also imply that in certain cases the adversary would rather receive infrequent large windfalls (often in excess of 100BTC), while in other cases the adversary was keen to monetize every attack and accept lower amounts to ensure payment. This difference in modus operandi suggests that more than one cyber-criminal group is operating Ryuk ransomware. Similarities between Bitpaymer and Ryuk ransom notes have been observed before. While it is not uncommon for ransom notes to share similar language, sequences of phrases tend to remain within the same ransomware family. Slight copy+paste modifications are made to the ransom text as a variant is passed along to different groups, but large alterations are rarely made. Below is a comparison of a Bitpaymer initial email (left) and a standard Ryuk initial email (right). The shared language implies that text once unique to a Bitpaymer campaign was borrowed for a Ryuk campaign, possibly by an operator running simultaneous ransom campaigns of both Bitpaymer and Ryuk or the imitation can be considered as the sincerest form of flattery. Different Initial Email Response May Be Different Adversaries? A more dramatic scripted communication difference has been observed in the initial email response from Ryuk adversaries. The initial email response is typically identical within ransomware families belonging to the same campaign. When significant differences in length, language, and initial ransom amount appear in the initial email response we are comfortable assuming they belong to unique groups with unique modus operandi. This would mean that Ryuk in being spread by more than one actor group. A final indicator that multiple groups are running simultaneous Ryuk campaigns can be observed in the activity of bitcoin after it hits a ransom address. Surprisingly, despite the differences between negotiation outcome and initial communications, Coveware observed little difference between the BTC wallets (blacked out to protect victims) associated with the above cases. Initial comparison showed no meaningful discrepancy in difference between the time of a ransom payment and the time of a corresponding withdraw. Additionally, the distribution of funds upon withdrawal was consistently split between two addresses. Coveware will continue to monitor the funds associated with campaigns for meaningful indicators. With few exceptions, the rest of the email replies during a Ryuk extortion negotiation are extremely short and blunt. Typical replies and retorts are generally less than 10 written words and often just a single number if the ransom amount is the point of discussion. This correspondence is unique to Ryuk. One reply did contain quite a remarkable expression; “à la guerre comme à la guerre,” to contextualize the methods and reasons for the cyber criminals’ attacks on western companies. The French expression originates from the seventeenth century and literally translates to “in war as in war” and loosely translates to: “In Harsh times one has to do with what’s available”. The striking thing about this expression is that is prominently featured in volume 30 of the collected works of the Soviet Revolutionary leader Vladimir Lenin. 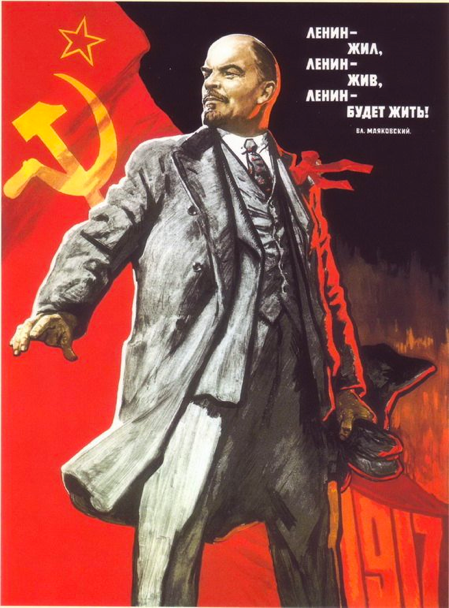 Lenin uses the expression to describe the struggle of his people during the war against western capitalism. This concept of “The capitalistic West versus the Poor east” is actually something McAfee ATR sees quite often expressed by cyber criminals from some of the Post-Soviet republics. This expression may be a clear indicator of the origin and cultural view of the criminals behind Ryuk. Even though the average ransom discounts of Ryuk are large (~60%), the absolute level of the ransom is extreme. Accordingly, we have seen evidence that links ransom demands to the size of the network footprint of the victim company. However, this doesn’t mean that the ransom demand correlates to the victims actual operational and financial size. Companies in the IT Hosting and the Freight and Logistics industries have been particularly susceptible to this discrepancy. Coveware has assisted at least 3 companies that have had to unwind their business when an affordable ransom amount, could not be reached. Typically, downtime costs are 10x the ransom amount, but in these industries downtime costs can be particularly extreme. IT Hosting companies are of note as the size and number of their servers can make them appear like a large organization. Unfortunately, the business of hosting involves high fixed costs, low operating margins, and zero tolerance of downtime by end clients. Hosting companies that get attacked typically have a few hours to restore service before their clients drop them for alternatives. Moreover, these companies suffer irreparable harm to their reputations, and may trigger SLA breaches that leave them exposed to liability. 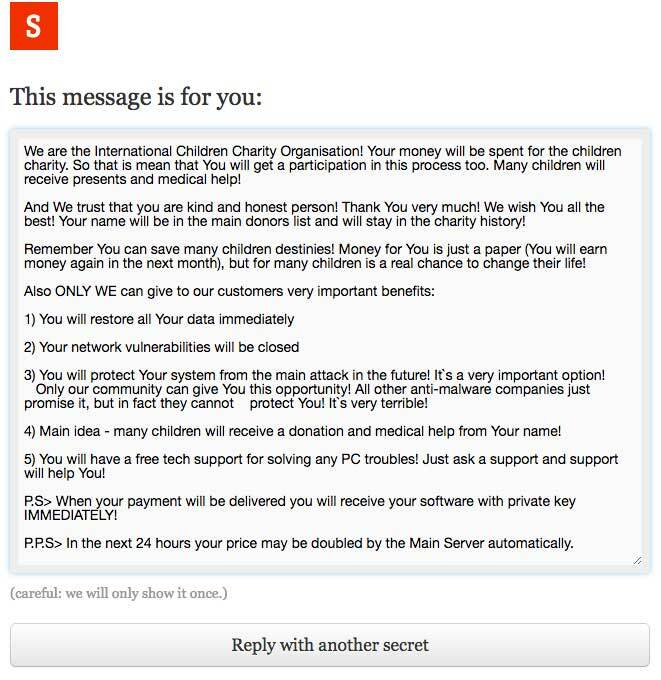 The inability to pay a six-figure ransom has caused multiple hosting companies to shut down. Freight and Logistics firms are also acutely exposed. These firms also present like larger firms given the volume of data they move and their network footprint. Additionally, attacks against Freight and Logistics firms can cause immediate supply chain issues for the victims’ end clients, who are subsequently forced to route through other service providers. Similar to IT Hosting, Freight and Logistics firms have low operating margins and end clients with little tolerance for service interruptions. The inability to pay or negotiate a large ransom has materially impacted several firms in this industry. When victims do pay the exorbitant ransom amount, the criminals will provide a decryptor to unlock a their files. This decryptor is actually framework that needs to be loaded with a victim’s private RSA key, provided by the criminals, in order to decrypt. Ensuring that the provided decryptor will only work for this specific victim. This setup allows the criminals to quickly load a victim’s key in the framework and offer a custom decryptor with minimal code change while the underlaying framework remains the same. From Coveware’s experience we have learned that the decryption process is quite cumbersome and full of possible fatal errors. Luckily Coveware was able to share the Ryuk decryptor with McAfee ATR in order to take a closer look at the issues and level of sophistication of the decryptor. Once launched the first thing the decryptor does is to search the HKEY_CURRENT_USER Hive for a value pair named “svchos” in the path “SOFTWARE\Microsoft\Windows\CurrentVersion\Run” and delete the specific entry. This removes the persistence of the malware. Afterwards it will reboot the system and remove any remaining Ryuk malware still receding on the system. Deleting the “svchos” value from the registry. Once rebooted the user needs to run the tool again and the decryptor will provide two options to decrypt. The main interface of the Ryuk decryptor with the different menu options. During the decryption process we have found that the decryptor searches for the known file marker string HERMES which is located in the encrypted file. 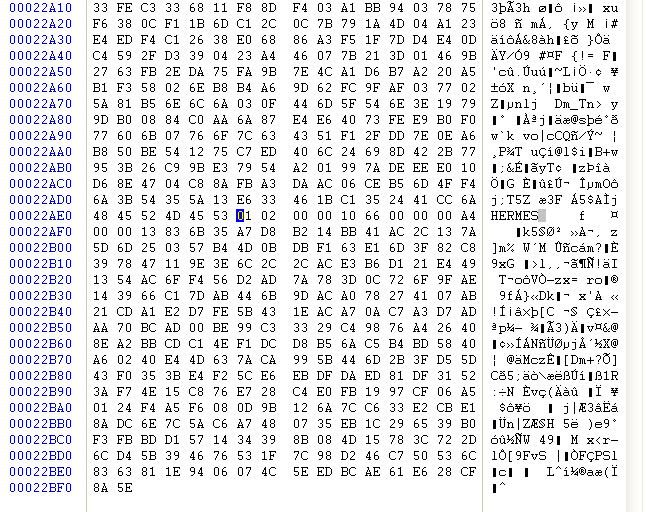 The fact that Ryuk ransomware adds HERMES filemarker string was already known, but discovering this specific check routine in the decryptor strengthens the hypotheses that Ryuk is a slightly modified version of Hermes2.1 ransomware kit that is sold online even more. If there is a space in the Windows file path the decryptor will fail the decryption process. If there is a quotation mark (“) in the file path the decryptor will report an error that it cannot find the specific file. The decryptor uses the “GetVersionExW” function to determine the windows version, from Windows 8.1. the value returned by this API has changed and the decryptor isn’t designed to handle this value. The decryptor doesn’t remove the .RYUK extension and replace it with the original extension. So, there is no way the name of the file can give an indication towards the type of the file, something that can be extremely labor intensive for enterprise victims. When choosing the manual option in the decryptor, the user has to supply a path of the specific file or choose “0” to finish. However, choosing a “0” will put the decryptor into an infinite loop. Looking at the decryptor, it is very worrisome to see that the criminals behind Ryuk can get away with such bad programming. It shows a clear lack of empathy towards their victims and the absence of solid coding skills. Victims who do pay the exorbitant ransom demand are far from in the clear. The decryptor offered by the criminals has a very high risk of malfunctioning, resulting in permanent damage to their precious files. Victims should always make an exact copy of the encrypted hard disk before trying to use the decryptor. By combining all the fresh insights with the information that was already discovered by ourselves and industry peers we can start defining our leading hypotheses around Ryuk. Based on this hypothesis, we will actively look for falsifying evidence. We encourage the security community to participate in this process. We realize that only by collaboration can we piece the different parts of the Ryuk puzzle together. Ryuk is a direct descendant from Hermes2.1 with slight modifications, based on the code overlap in the ransomware as well as the decryptor. Ryuk is not designed to be used in a largescale corporate environment, based on all the scalability issues in the decryptor. At this moment there are several actors or actor-groups spreading Ryuk, based on the extortion modus operandi and different communications with the victims. The actors or actor-groups behind Ryuk have a relationship with one of the Post-Soviet republics, based on the Russian found in one of the encrypted files and the cultural references observed in the negotiations. The actors behind Ryuk most likely have an affiliation or relationship with the actors behind Trickbot and, based on their TTP, are better skilled at exploitation and lateral movement than pure Ransomware development. In the last seven months Ryuk has proven to be a highly profitable form of ransomware, despite the poor programming behind it and its decryptor. The criminals have proven to be ruthless and several of their victims were forced to wind down their businesses after they were unable to afford the exorbitant ransom. When a company does give in to the high demands it is extra painful to see a situation occur where they are permanently unable to recover their files due to the faulty decryptor. A solid data loss prevention strategy still remains the best advice against all forms of ransomware, for general prevention advice please visit NoMoreRansom. Always seek professional assistance when you are faced with a targeted ransomware attack such as Ryuk. 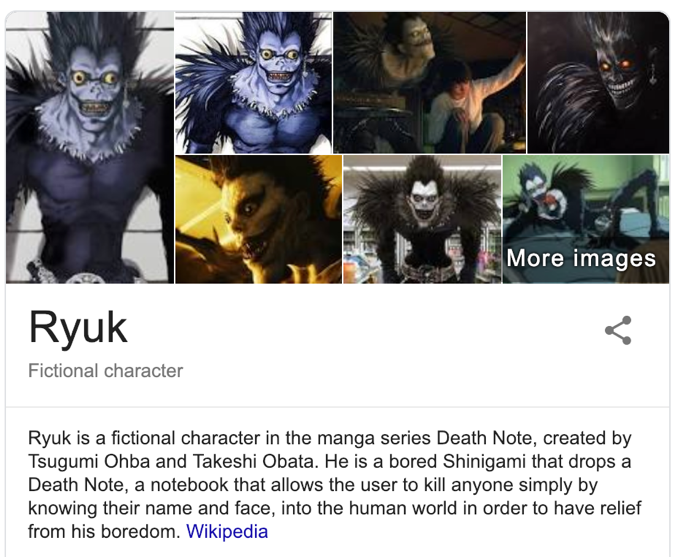 The post Ryuk, Exploring the Human Connection appeared first on McAfee Blogs. This entry was posted in Advanced Threat Research, Cybersecurity, Malware, McAfee Labs, No More Ransom, ransomware on February 19, 2019 by John Fokker. This entry was posted in bot, email, Emotet, gandcrab, Malware, ransomware, Spam on February 15, 2019 by Bajrang Mane. Each year, internet users lose billions of dollars to online scams, using clever ploys to trick us out of our information and money. By offering prizes, referencing current events, or just creating a sense of urgency, scammers know how to get us to click when we really shouldn’t. Check out these recent scams, so you know what to look out for. Quizzes circulating on Facebook, Twitter, and other social platforms may look like a fun way to win free stuff, but often they are phishing attacks in disguise. Many appear to be sponsored by big-name brands such as airlines and major retailers, offering free products or discount tickets if you just answer a few questions. The questions are designed to get you to reveal personal information that can be used to guess your passwords or security questions, such as your mother’s maiden name, or your hometown. While cryptocurrencies lost a lot of value over the last year, the same cannot be said for cryptocurrency scams. The majority of them center on distributing crypto mining malware, which allows hackers to access a person’s computer or device without their permission in order to mine for cryptocurrencies. In fact, these scams have been so prolific that at the end of 2018 McAfee reported that coin mining malware had grown more than 4000% in the previous year. Many of these miners were distributed through phishing emails and websites, using “giveaway” scams on social media, or even via crypto mining chat groups on platforms such as Slack. 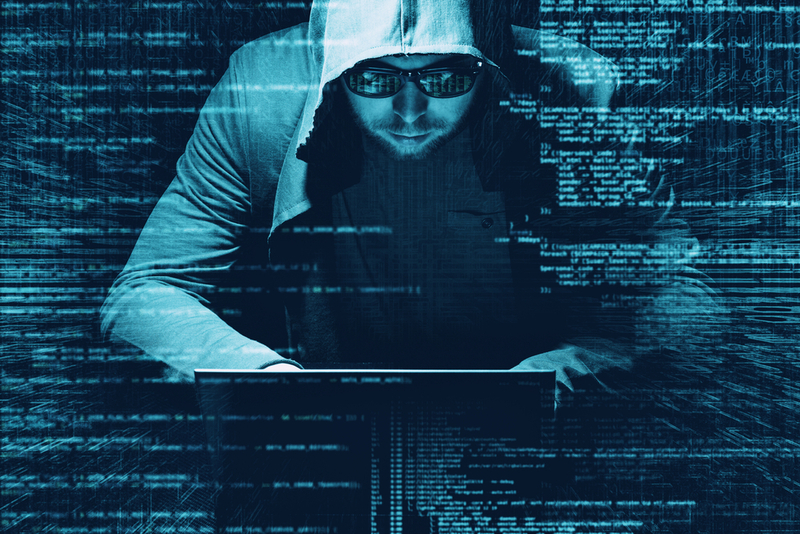 Cybercrooks enter the chat rooms, pretending to be fellow miners, and encourage users to download malware disguised as “fixes” to crypto issues. The meteoric rise of online dating has led to a similar increase in romance scams. These often involve bad actors preying on lonely people who are looking to connect. Scammers build up a sense of trust over online dating and social media platforms, before asking for money. They often claim the money is for an emergency, or a plane ticket to visit. This kind of manipulation works so well that the Better Business Bureau estimates that victims in the U.S. and Canada lost nearly $1 billion to romance scams between 2015 and 2018. And while romance is one way to manipulate users, another driver is fear. This is certainly the case with the recent rise in so-called “sextortion” scams, which scare users into paying money to prevent incriminating pictures or videos of them from getting out. The bad guys claim that they obtained the embarrassing content by infecting the victim’s device with malware, and often send part of an old, leaked password as proof that they could have accessed their account. Whenever a major story sweeps the news, chances are the scammers are looking for ways to capitalize on it. This is exactly what happened during the recent U.S. government shutdown, which left 800,000 federal employees out of work for over a month. Since many of these workers were looking for extra income, job scams abounded. Some phony job ads asked workers to fill out detailed job application forms, in order to steal their Social Security numbers and other private information. In another ruse, scammers sent out phony emails that appeared to be from the IRS, saying that the recipient could get a discount on their tax bills if they paid during the shutdown. Package Delivery— Phony package delivery emails usually spike around the holidays, but in the age of Amazon Prime delivery scams are circulating year-round. Be on the lookout for more recent Amazon scams that come in the form of a phishing email, asking you to review a product to get rewards. If you click on the link it could deliver malware, or even ransomware. Tech Support— This is one of the oldest, but most persistent scams to date. Phishing websites and phony pop-up warnings that a computer or device is infected have led thousands of people to hand over personal and financial information to fix a problem they don’t really have. 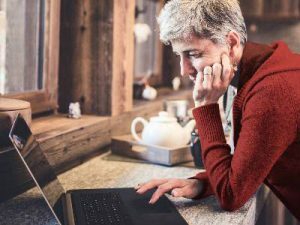 Even though consumers have become savvier about these scams, a recent Microsoft survey found that 3 out of 5 people have been exposed to tech support scams over the last year. Be careful where you click—Don’t open suspicious links and attachments, and never click on pop-up messages from an unknown source. If you get a suspicious login or payment request, go directly to the provider’s official website to see if the request is legitimate. 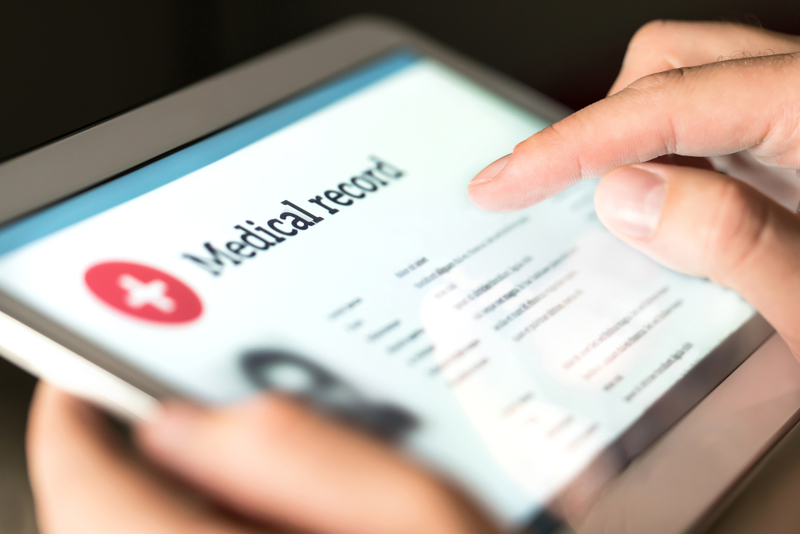 Know how to spot the fake—Phony messages or documents will often look like a simplified version of the real thing, with poor quality graphics, incorrect grammar and spelling, and a generic personal greeting. Keep your personal information private—Avoid online quizzes, and never share personal or financial details with someone you don’t know in real life. Review your privacy and security settings on social sites to make sure that you aren’t leaking information. Be a smart online shopper—Only buy from reputable websites, and steer away from deals that seem too good to be true. Be suspicious of unusual payment requests, such as buying gift cards or using virtual currency. Become a password pro—Choose complex and unique passwords for all of your accounts. Consider using a password manager to help you create and store complicated passwords securely. 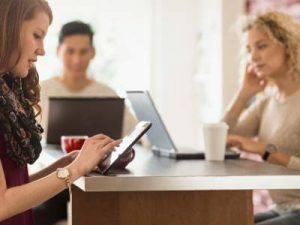 Protect your computers and devices—Use comprehensive security software that can safeguard you from the latest threats. The post How To Sidestep Popular Social Scams appeared first on McAfee Blogs. This entry was posted in Consumer Threat Notices, Cybersecurity, data protection, Family Safety, internet security, Malware, ransomware, social media on February 14, 2019 by Gary Davis. 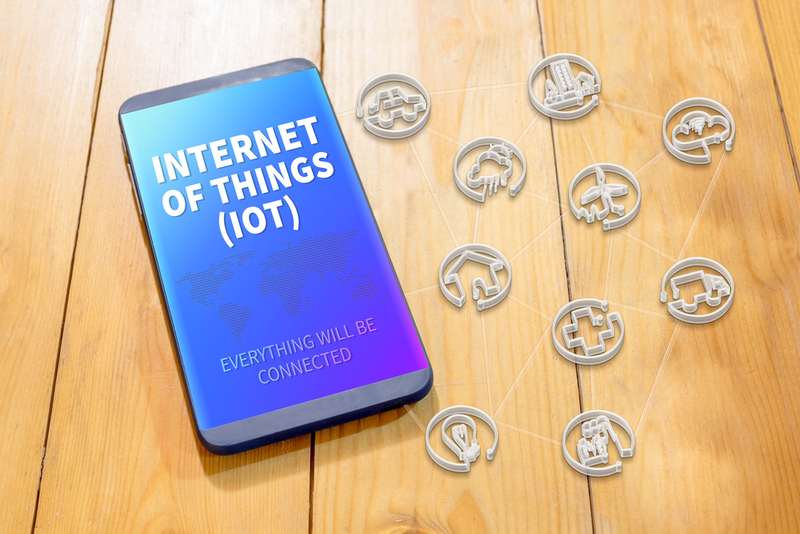 This entry was posted in computer security, Consumer Threat Notices, Cybersecurity, data protection, ransomware on January 15, 2019 by Gary Davis. Senior analyst Ryan Sherstobitoff contributed to this report. What if the actor who attacked the Taiwanese bank simply bought a copy of Hermes and added it to the campaign to cause the distraction? Why go to the trouble to build something, when the actor can just buy the perfect distraction in an underground forum? In the same underground forum thread we found a post from October 22, 2018, mentioning Ryuk. This post contains a link to an article in the Russian security magazine Xakep.ru (“Hacker”) discussing the emergence of Ryuk and how it was first discovered by MalwareHunterTeam in August 2018. This first appearance came well before last week’s attack on newspaper printing services. Ryuk, according to Wikipedia, refers to a Japanese manga character from the series “Death Note.” Ryuk apparently drops a death note, a fitting name for ransomware that drops ransom notes. Ransomware is typically named by its cybercriminal developer, as opposed to the naming of state-sponsored malware, which is mostly is done by the security industry. It seems the criminals behind Ryuk are into manga. The use of manga character names and references is common in the cybercriminal scene. We often come across manga-inspired nicknames and avatars in underground forums. Looking at research from our industry peers comparing Ryuk and Hermes, we notice that the functionalities are generally equal. We agree that the actors behind Ryuk have access to the Hermes source code. We can see the PDB paths are almost identical. When we compare samples from August and December 2018 and focus on the checksum values of the executables’ rich headers, they are also identical. The Hermes 2.1 ransomware kit, renamed and redistributed as Ryuk. The author and seller of Hermes 2.1 emphasizes that he is selling is a kit and not a service. This suggests that a buyer of the kit must do some fine tuning by setting up a distribution method (spam, exploit kit, or RDP, for example) and infrastructure to make Hermes work effectively. If changing a name and ransom note are part of these tuning options, then it is likely that Ryuk is an altered version Hermes 2.1. In the race to determine who is behind an attack, research facts (the What and How questions) are often put aside to focus on attribution (the Who question). Who did it? This pursuit is understandable yet fundamentally flawed. Attribution is crucial, but there will always be unanswered questions. Our approach focuses on answering the What and How questions by analyzing the malware, the infrastructure involved, and the incident response performed at the victim’s site. Our approach is always to analyze competing hypotheses. When investigating an incident, we form several views and compare all the artifacts to support these hypotheses. We try not only to seek verifying evidence but also actively try to find evidence that falsifies a hypothesis. Keeping our eyes open for falsifying facts and constantly questioning our results are essential steps to avoid conformation bias. By following this method, we find the strongest hypothesis is not the one with the most verifying evidence, but the one with the least falsifying evidence. Examining competing hypotheses is a scientific approach to investigating cyber incidents. It may not help with the race to attribution, but it ensures the output is based on available evidence. The most likely hypothesis in the Ryuk case is that of a cybercrime operation developed from a tool kit offered by a Russian-speaking actor. From the evidence, we see sample similarities over the past several months that indicate a tool kit is being used. The actors have targeted several sectors and have asked a high ransom, 500 Bitcoin. Who is responsible? We do not know. But we do know how the malware works, how the attackers operate, and how to detect the threat. That analysis is essential because it allows us to serve our customers. The post Ryuk Ransomware Attack: Rush to Attribution Misses the Point appeared first on McAfee Blogs. This entry was posted in Advanced Threat Research, Cybersecurity, Malware, McAfee Labs, ransomware on January 9, 2019 by John Fokker.